I took this photo in the puddle of a ditch on the side of the road. I’d been snowed in for two days while visiting my mom one March in Northeast Mississippi. To combat the cabin fever, I strolled around her lake taking pictures. 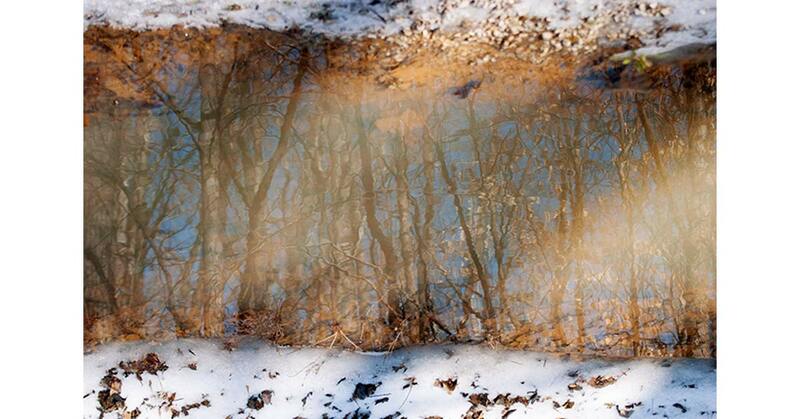 This reflection of a clear blue sky among the trees combined well with the snow and mud framing the water. 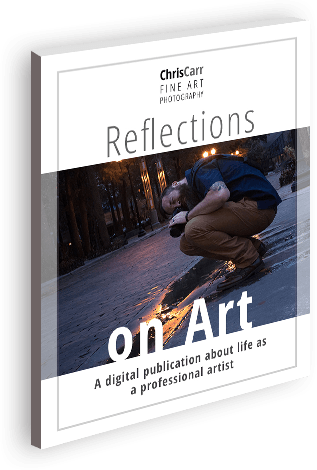 This was an early Puddle Reflections image that was shown at Photo Independent 2015.